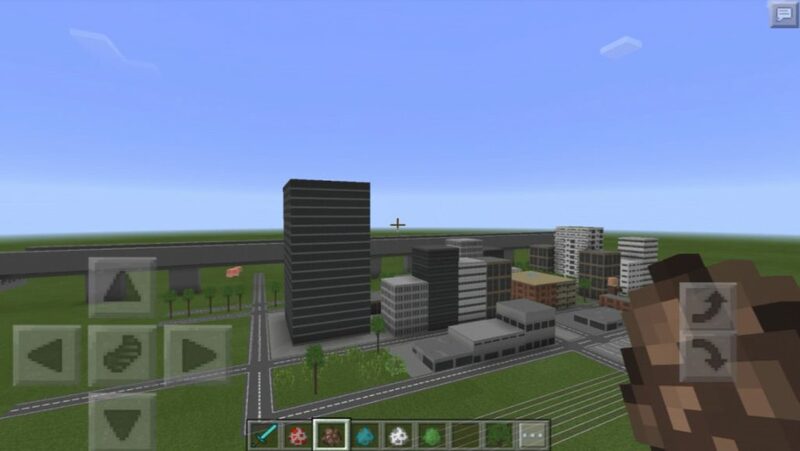 Mini City Texture Pack is a fun texture pack for Minecraft PE, which allows you to build miniature cities. Building blocks and elements have been replaced by structures that look like skyscrapers, office buildings, swimming pools and much more. 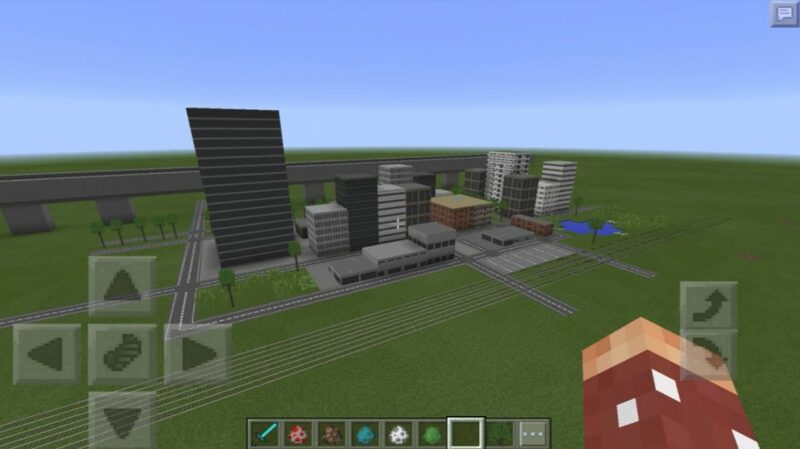 Use these creations to create your own mini city in MCPE! 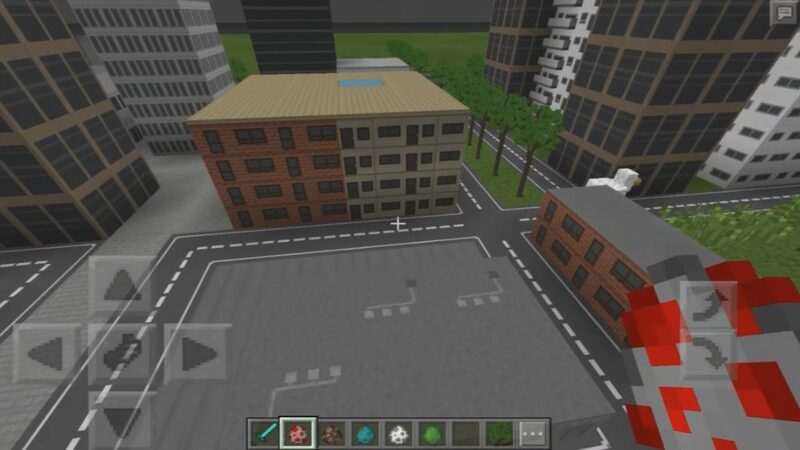 In the screenshot below, I built a small city in a flat world, but you obviously can create cities anywhere in Minecraft Pocket Edition. The city includes two residential quarters and some other types of buildings.